I’m a little late, as September is already here and there has been no downloadable calendar. Sometimes I feel I say this too often, but I’ve been buried under a mounting of tasks, plus I’ve been moving house. But I’m slowly starting to see the way up, and will resurface soon, continuing to blog. Would you like to read a post about what I did this summer? 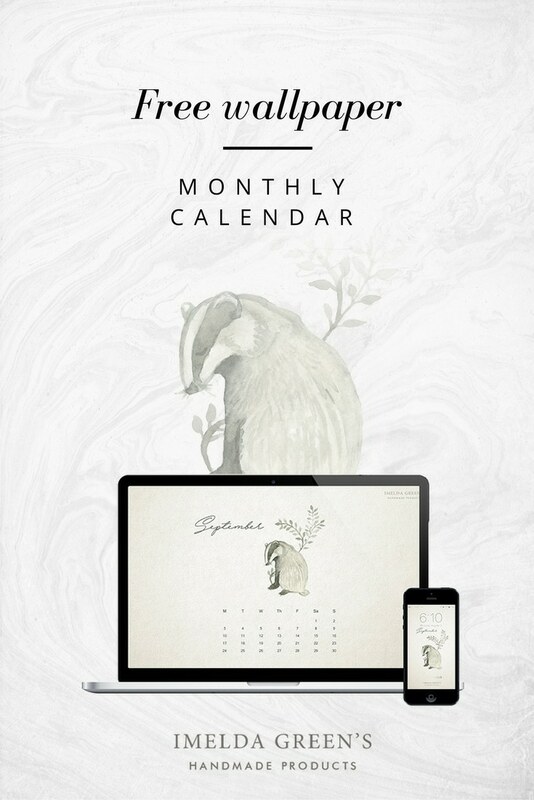 Until then, let me introduce Emily, the little badger girl, who is posing on the September downloadable calendars. Of course my newsletter is late as well, but if you’re signed up, I’ll send Emily along in A4 printable format by the end of this week. If you haven’t yet signed up, now is a great chance. This is just beautiful. I wish I have the same talent in creating such too.